Australia has many historic and cultural links with the United Kingdom. This is because, the first European settlers in Australia came from the United Kingdom. As a result, Australia was a British colony, later a Dominion within the British Empire, and today is a leading member of the Commonwealth and retains the British Queen as the monarch of Australia. This history has also of course influenced Australian cuisine - many Australian dishes have been inspired by traditional British cooking, and meals based around pies, and grilled or roasted meat, remain popular to this day. After World War II, Australia has experienced much increased immigration from Mediterranean countries, and later from Southeast Asia as well. These immigrants brought many new culinary ideas to Australia, and the country's cuisine has been greatly enriched as a result. Additionally, new recipes, unique to Australia have also been developed - some of these are based on unique Australian plants, or inspired by "bush tucker" (foraged food, itself often inspired by traditional Aboriginal recipes). Chiko roll - These are the Australian version of Chinese spring rolls. Chiko rolls can be quite spicy and contain mutton, cabbage, carrot, celery and sometimes barley. They are cooked by deep frying. Damper - Damper is a wheat-based soda bread. It was traditionally eaten by travellers in the outback (the wilderness areas of Australia), since it could be easily prepared at the roadside. 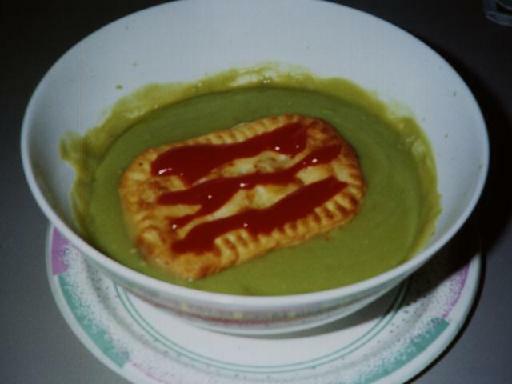 Pie floater - A British style meat pie which is covered with tomato sauce, turned upside down, and then served in a thick green pea soup. Vegemite - Vegemite is a paste made from yeast extract. It used as a spread on toast, and in sandwiches. Australia also developed has its own desserts, many of which are unique to the country. It should be said that New Zealand also claims to be the original source of some these recipes, and there is a friendly rivalry between the two countries over this issue. 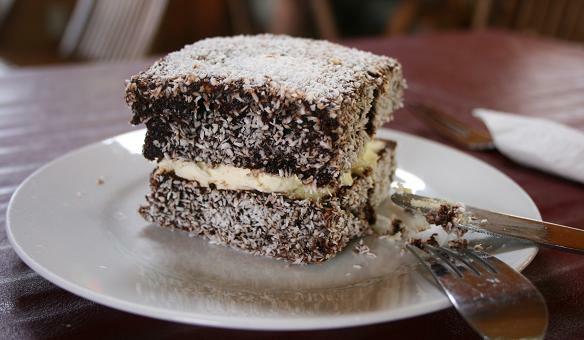 Lamingtons - Lamingtons are cubes of sponge cake, covered with chocolate icing and dessicated coconut. Sometimes the cubes may be sliced in half, and a layer of strawberry jam or cream spread between the halves. 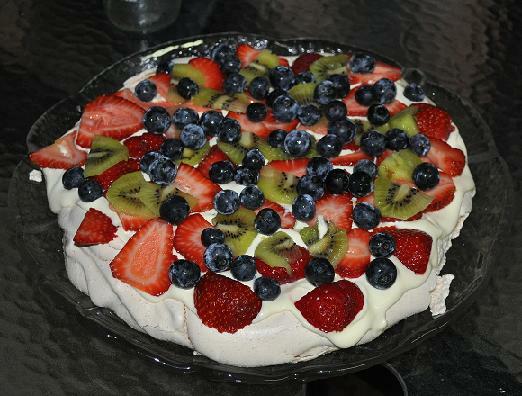 Pavlova (these are also claimed to be invented in New Zealand) - Pavlova is a meringue prepared so that it has a crispy exterior, but is light and fluffy on the inside. ANZAC biscuits (these are also claimed to be invented in New Zealand) - ANZAC biscuits are made from rolled oats, coconut and syrup. According to legend, they were first prepared for the ANZAC ("Australian and New Zealand Army Corps") troops sent to fight in the Gallipoli campaign in World War I. The recipe was supposed to have been chosen so as to create a biscuit that would preserve well. Australia is blessed with a broad range of climates and terrains, a rich diversity that encourages its residents to fill the pantries with different foods from every conner of the country. These talented cooks regularly stock up on farmhouse cheeses and fresh produce from Victoria, seafood and apples from Tasmania, rice and wines from New South Wales Australia, olives end game from South Australia, tropical fruits and beef from Queensland, wheat products from Western Australia and native bush foods from the Northern Territory. This results is an Australian table that is both rustic and refined, familiar and exotic. Australia the Beautiful Cookbook celebrates this nation of imaginative cooks and fine fresh ingredients in over 200 recipes . Celebrating the abundance, variety, and individuality of the land down under, a colorfully illustrated cookbook features tasty and unusual dishes including Skewered Tiger Prawns with Honey Lime Butter, Tasmanian Atlantic Salmon Tartare, and Guava Sorbet. Here are inspiring, delicious, easy weeknight dishes along with plenty to make your guests gasp such at Danielle Alvarez’s Chocolate, butterscotch and raspberry trifle and Neil Perry’s Spicy braised lamb with apricots, pistachios and roast pumpkin. 2019 James Beard Award Nominee From the Earth is a celebration of approximately 50 unique and exotic heirloom vegetables and plants through the seasons. Some the author grows himself in his experimental home garden, while others come from suppliers he has developed close and lasting relationships with over his 15 years as executive chef at Quay restaurant in Sydney, Australia. The book includes full-color photography by Brett Stevens alongside botanical illustrations heroing each vegetable, as well as key information (family group; history and origin; traditional cooking uses; growing conditions; anecdotal stories; and why the author loves them!) and a recipe inspired by the vegetable. The recipes range from very simple – about the cooking technique with little adornment – to more complex dishes that may feature at Peter's restaurants Bennelong or Quay. All are approachable and achievable in the home kitchen. The key, always, is celebrating the organic beauty of the vegetables and allowing them to shine. In the chef's words: 'Simplicity is key, with a little bit of complexity thrown in'. Recipes include Fried puntarelle chicory, Kyoto red carrot salad (sheep's milk feta, smoked almond, sherry caramel), Slow braised roveja peas (fermented mushroom and black garlic purée) and Slow cooked galeux d' eysines pumpkin (aged comte cream, truffle). In addition, the book profiles, in words and pictures, chef Gilmore's home garden and the evolution of his now abiding passion for it, as well as a handful of his most loyal growers and seed suppliers. The Cook's Companion has established itself as the kitchen "bible" in more than 500,000 homes since it was first published in 1996. This 2014 revision includes two major new chapters, two expanded chapters, 70 new recipes, and a complete revision of the text to reflect changes in the marketplace and new regulations. Stephanie believes that good food is essential to living well: her book is for everyone, every day. She has invaluable information about ingredients, cooking techniques, and kitchen equipment, along with inspiration, advice, and encouragement, and close to 1,000 failsafe recipes. Featuring 165 recipes, from tried and true Aussie classics to contemporary cuisine that reflect Australia’s ethnic diversity and fresh local produce, this book is a celebration of local cuisine. One hundred of Australia’s finest cooks, chefs, bakers, and local heroes let us into their homes and their hearts as they share their favorite recipes they make for the people they love. Each recipe is accompanied by stunning original photography shot entirely on location. Includes metric measures. Guaranteed To Be Top 30 Nutritious, Delicious and Recommended Australian Meals Cookbook You’ll Ever Eat! Are you looking Nutritious plus Super-Tasty Australian Meals? Then you have found the perfect cookbook. 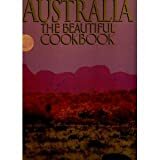 You will find different variety of Australian Meals inside this cookbook. The best part about these recipes is that they are easy to prepare, delicious, recommended and nutritious all at the same time. You’ll find following benefits in this cookbook. No matter what your eating style, these Australian Meals are simply the best collection of wholesome and healthy quick and fast recipes around. Now that you know more about this book and why it is for you don’t forget to scroll up the page and click on the buy button above so you can start enjoying your delicious and quick Australian Meals right now!